Thank you for your generous support for the charity project of May 16 to June 30 to support Kumamoto earthquake relief effort. The project raised JPY 755‚730. 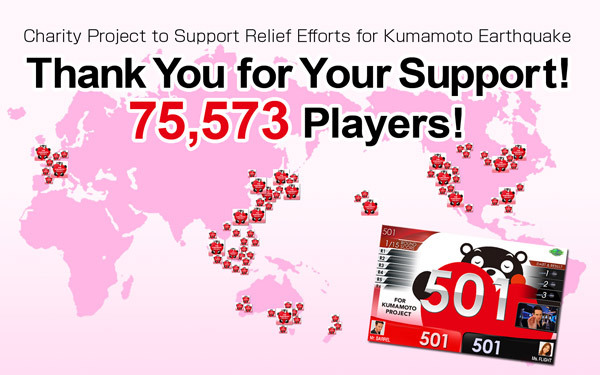 The donation will go to “FOR KUMAMOTO PROJECT” via “KUMAMON’S DONATION BOX” committee. Again thank you for all of your help and generosity.